No surprises this evening, as UKIP leader, Nigel Farage, wins his party's nomination to stand as the Parliamentary candidate for South Thanet in next May's General Election. 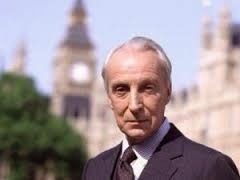 I'm reminded of the classic BBC series, of the 1980's, House of Cards but with a much shallower but far more populist character in the leading role, originally played by Ian Richardson. Is this good for Thanet, north or south? Well I'm a little prejudiced and would of course says 'No'. Principally, because it turns the local political scene into more of a three -ring dysfunctional circus than it is already. We already have a clown, in the shape of former militant socialist and Green Party candidate, Ian Driver and Labour's local hopeful, Will Scobie, fresh from university, may be the candidate who benefits most from the arrival of UKIP's largest political cannon on Ramsgate's seafront. Thanet has a host of problems, economic and health-related and I suspect that the people who most need a conventional, hard-working candidate, are the one's most like to be let down by the cult of celebrity politics and the media bandwagon which will very soon be camped in Ramsgate, between now and May of 2015. Nigel may be the winner tonight but it's Thanet that may ultimately prove to be the loser of this political beauty contest as our dirty-linen is washed in public, to satisfy the curiosity of newspaper readers across the planet. As for the other candidates, my advice to you is lock-up your bin bags, because every indiscretion, every secret and anything that you may have done of note since primary school, is now up for grabs. At least he genuinely supports Manston, just as our own cllr Latchford does. Any thoughts on Driver's "Plan B"... or is it "Plan C" now? Plan D I think is what is called and the most realistic 8.30pm. People need to stop highlighting the obvious. All this harping on about saving manston. For goodness sake it's stripped of assets lost its CAA license and gloat will not sell. I repeat WILL NOT SELL. Council don't have money for CPO and quite frankly would not trust them to run legoland! Work with the freeholder and build relationships thats all that can be done. Control any further damage. And I am the first who wants manston airport. Thanet labour put the boot in with parkway station years ago and section 106 agreements. Thank hart and Johnston for that one. Now what happens showboating at it's finest! Noted that the Green candidate has already jumped on the publicity bandwagon that is rolling for Mr Farage. Can ITV not find anyone better as a vox-pop 'spokesperson'than this egocentric person of limited ...??? I like Laura alot, but I think Tories have made a BIG mistake in choosing an ex-UKIP as her replacement. People will just vote for the real UKIP instead... or Labour. The problem here is that UKIP in Thanet has been born out of discontent. The Government has ignored the Isle of Thanet in its prosperous south. Too long have we suffered decline at the hands of successive governments. Efforts to regenerate have been offset by asset strippers and developers looking for a quick buck. No wonder the politics of the extremes are finding place on our Island. Its about time the main parties woke up and start doing something to lift Thanet out of the doldrums. Maybe Nigel's selection may stir things up but be careful what you wish for. Is it because Thanet is almost entirely UKIP in KCC that there seems to have been such disinterest in KCC at what was happening at Manston? The huge tory phalanx of KCC cannot help but see “Thanet” as some kind of opposition? Seems to me the only body that has done much for Thanet is the EC with the new road infrastructure (right to the airport), all set up ready. Then Thanet, already isolated in the UK (geographically, politically and apparently by UK movers and shakers) votes anti-EC! If geographically Thanet struggles with a commercial airport, it shows how much it needs an airstrip – but presumably the sale of basic airfield necessities, means that now it is only a big “airport”/development player that come up with the ££££££££s to set it up in any way again?